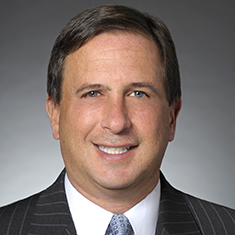 David R. Dlugie is chair of the Chicago Real Estate practice and a member of Katten’s Compensation Committee, Hiring Committee and Diversity Committee. David concentrates his practice in real estate law and represents lenders and borrowers in loan transactions secured by real estate. He provides experienced representation to institutional lenders in loan origination, as well as in workouts of distressed assets from their commercial mortgage and mezzanine loan programs and conduit mortgage loan programs. He also advises developers and lenders in acquiring and selling real estate and landlords and tenants in leasing office space. David works extensively with clients on acquisitions and sales of distressed and performing loans both on a one-off and pool of loans basis as well as sale of real estate owned (REO) properties across the country. He has also represented financial institutions on securitizations of conduit loans. In addition, he counsels clients on the formation of partnerships and limited liability companies in the real estate area.